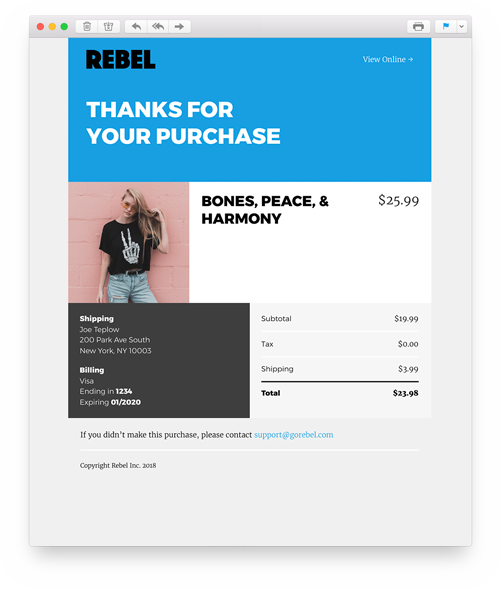 This email is great for abandoned browse, back in stock, or new product notifications. 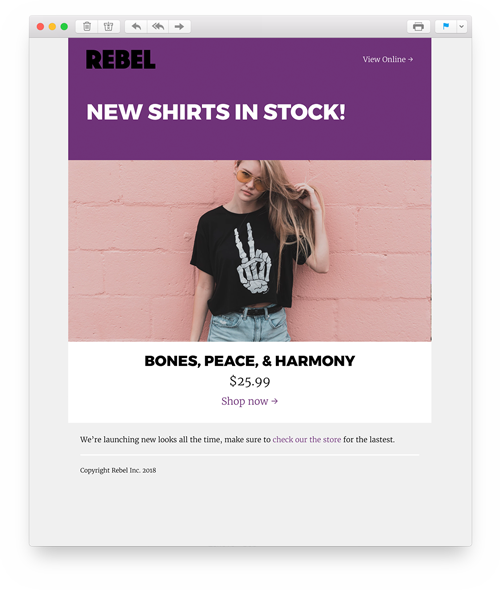 "text":"We’re launching new looks all the time, make sure to check our the store for the lastest." 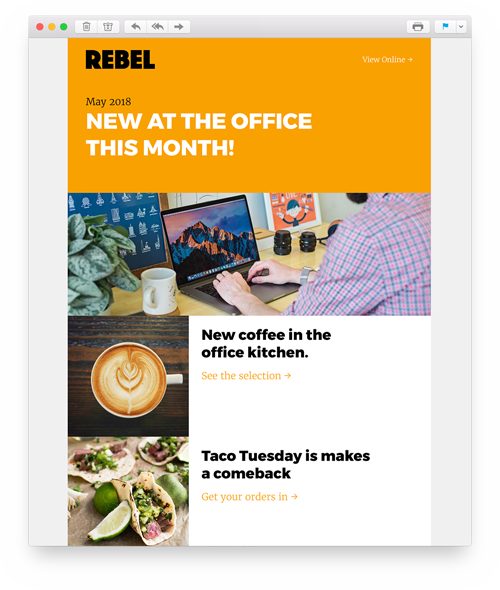 The first API for actionable email. 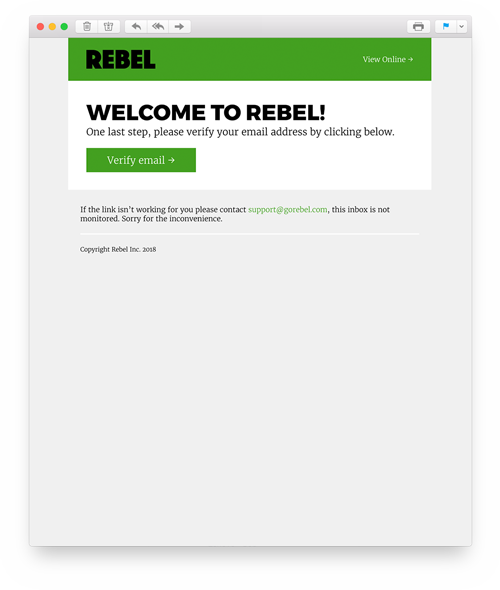 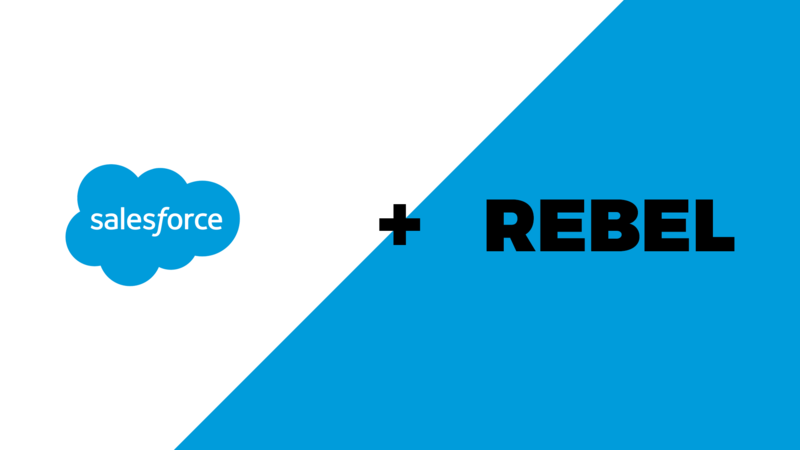 We listened, and today we are launching REBEL Lite API, a low cost standalone API to allow devs to build complex emails with just JSON. 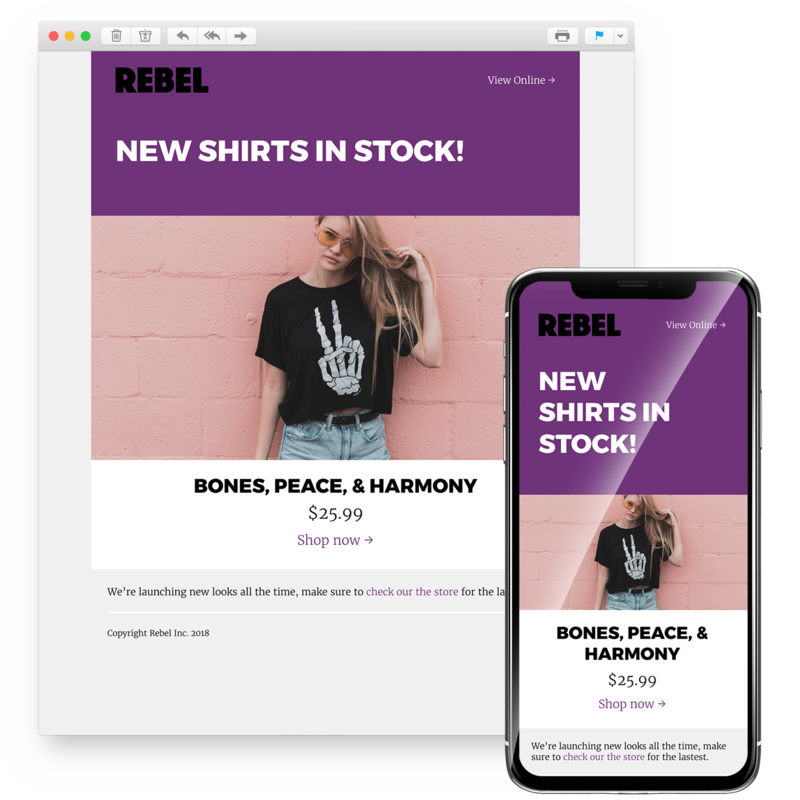 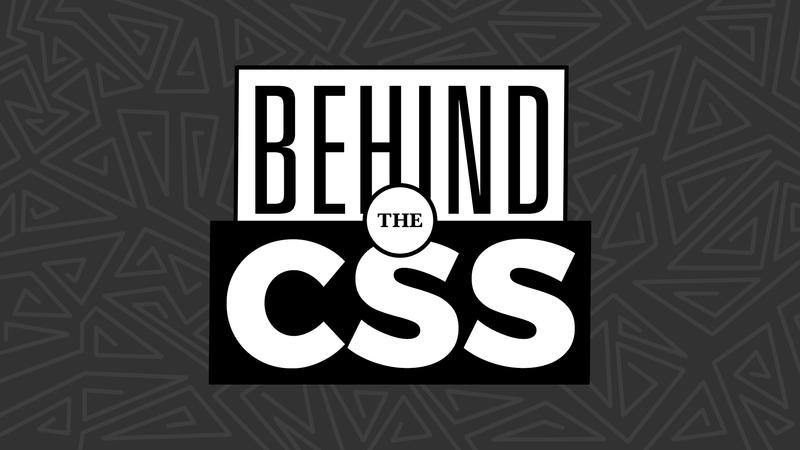 Send us JSON, and receive fully responsive, accessible, HTML emails that function beautifully across all email clients.